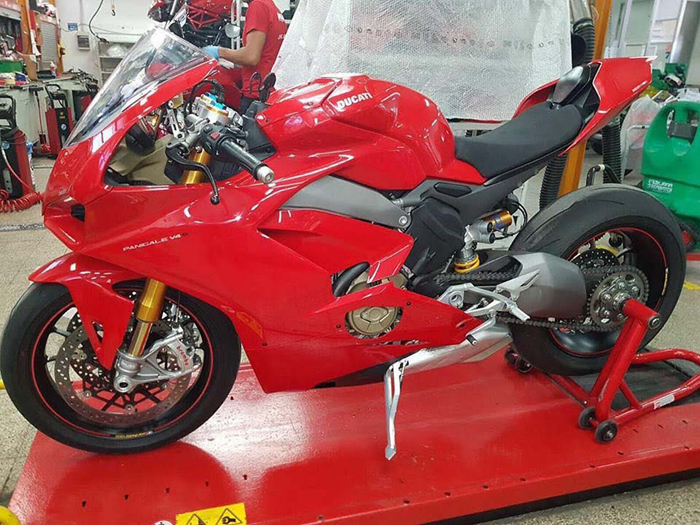 Ducati Panigale V4 Production Superbike Photos! Johnny dicing with Laverty (60) and Lowes (50). RACE ONE Friday, 3 November 2017 - Jonathan Rea (Kawasaki Racing Team) produced a masterclass in the Qatari desert on Friday night at the Losail International Circuit, getting away brilliantly from pole to dominate the penultimate race of season and eventually cross the finish line a clear 4.944s distance ahead of second placed Chaz Davies (Aruba.it Racing - Ducati). The Race 1 podium at the Acerbis Qatar Round was completed by Marco Melandri (Aruba.it Racing - Ducati). Eugene Laverty (Milwaukee Aprilia) produced an excellent ride to fourth, missing out on the podium by under two seconds, whilst his colleague Lorenzo Savadori (Milwaukee Aprilia) was just behind him - completing the top five. 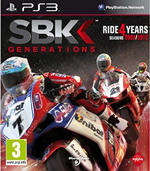 Tom Sykes (Kawasaki Racing Team), Jordi Torres (Althea BMW Racing Team), Sylvain Guintoli (Kawasaki Puccetti Racing), Leon Camier (MV Agusta Reparto Corse) and Roman Ramos (Team Kawasaki Go Eleven) rounded out the top ten. Johnny tops the race two podium again with Chaz davies, and this tie Sam Lowes. RACE TWO Saturday, 4 November 2017 - The final race of the 2017 season at the Acerbis Qatar Round on Saturday night brought another win for Jonathan Rea (Kawasaki Racing Team) as he crossed the line just under two seconds ahead of Chaz Davies (Aruba.it Racing - Ducati), with Alex Lowes (Pata Yamaha Official WorldSBK Team) in third. The victory gives Rea the record of most points in a single WorldSBK season (556 points), beating the previous record set by Colin Edwards in 2002, as the Northern Irishman ends the year with 16 victories and 24 podiums in 2017.
rid to first within the first two corners, but Rea soon took control of the race on lap four and he did not look back from there. With 14 laps to go Welshman Davies survived a big wobble - with perhaps the biggest save of the season - holding his nerve to continue on the pace and ultimately wrap up second place in the race and second place in the final championship standings. Lowes got the better of his Pata Yamaha Official WorldSBK Team colleague Michael van der Mark in the second half of the race and finally finished 1.658s ahead of the Dutchman. Xavi Fores (BARNI Racing Team) ended the season on a high in fifth place, whilst Marco Melandri (Aruba.it Racing - Ducati) was 5.688s behind the Spaniard in sixth place. Eugene Laverty (Milwaukee Aprilia) beat Sylvain Guintoli (Kawasaki Puccetti Racing) to seventh by less than half a second, overcoming the Frenchman on the last lap. Leon Camier completed his last race with MV Agusta Reparto Corse in ninth place just ahead of Roman Ramos (Team Kawasaki Go Eleven). A huge crash for Jordi Torres (Althea BMW Racing Team) at Turn 5 in the early running meant his last race with BMW ended in the gravel, the Spanish rider seen bravely walking away after the massive highside. On the third lap Tom Sykes (Kawasaki Racing Team) crashed out of third place at turn 14, ending his hopes of challenging Davies for the championship runner-up spot. Davide Giugliano (Red Bull Honda World Superbike Team) was declared unfit due to gastroenteritis and therefore the unwell Italian missed out on the last race of the year. 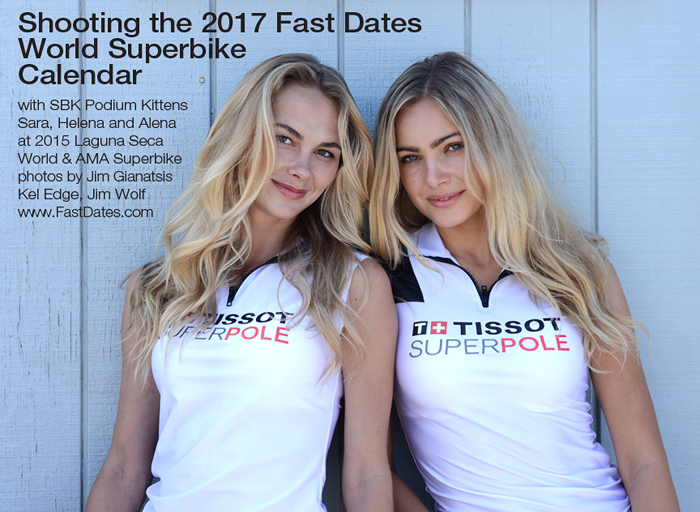 The WorldSBK riders will be back in action at the first round of the 2018 season at Phillip Island in Australia next February. 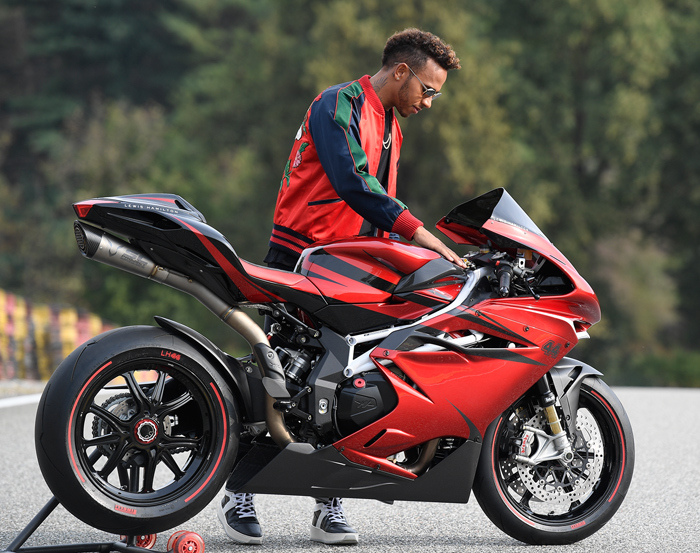 Varese, 28th September 2017 - Three Time F1 World Champion, Lewis Hamilton, and MV Agusta have collaborated to design a brand new bike, the F4 LH44. 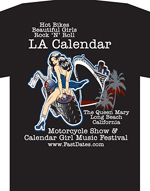 This partnership follows the success of their first project on the Dragster RR LH. 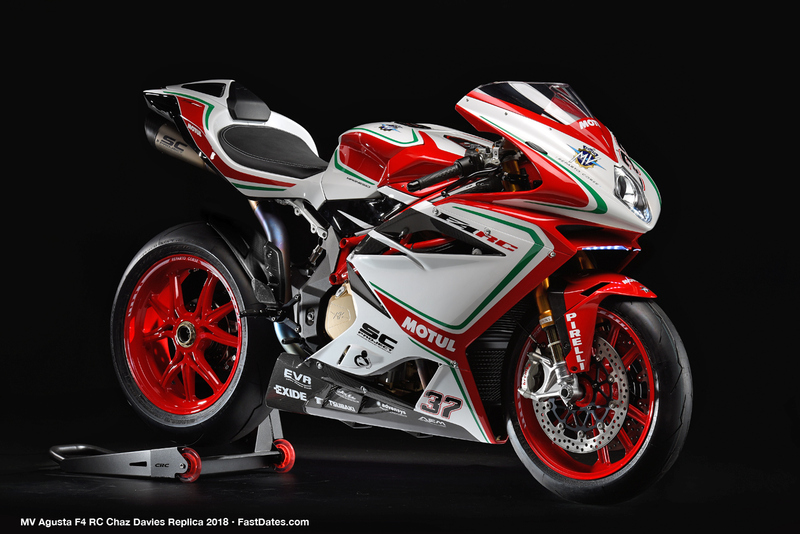 The F4 LH44 is an offshoot of the F4 RC which is derived directly from the MV Agusta Reparto Corse Superbike, the pinnacle of Italian 4-cylinder performance. Hence, the Corsa Corta engine (bore 79 mm, stroke 50.9 mm) with central timing chain and radial valves, which on this version puts out a maximum power of 205 hp (151 kW). The bike comes with a kit that includes a titanium silencer and dedicated control unit, boosting power by 7 hp to 212 hp (158 kW). It also features Lewis Hamilton's eye-catching Panther logo. 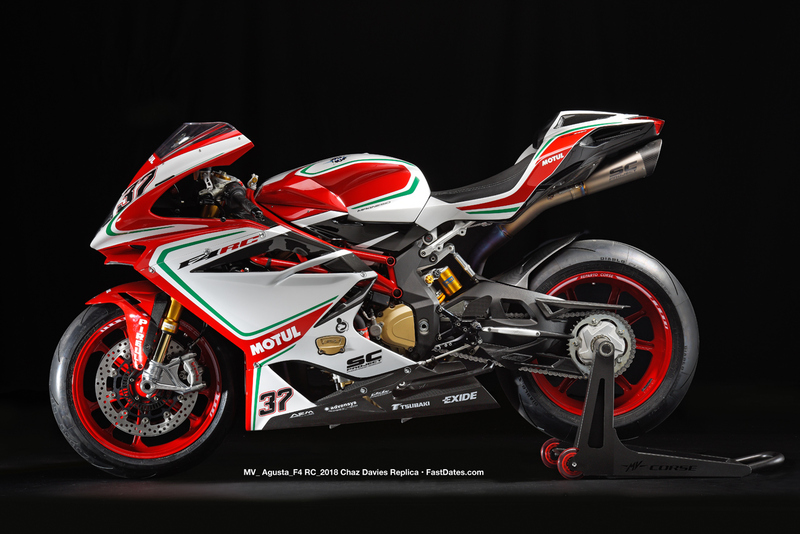 “I am very excited to continue my partnership with MV Agusta. 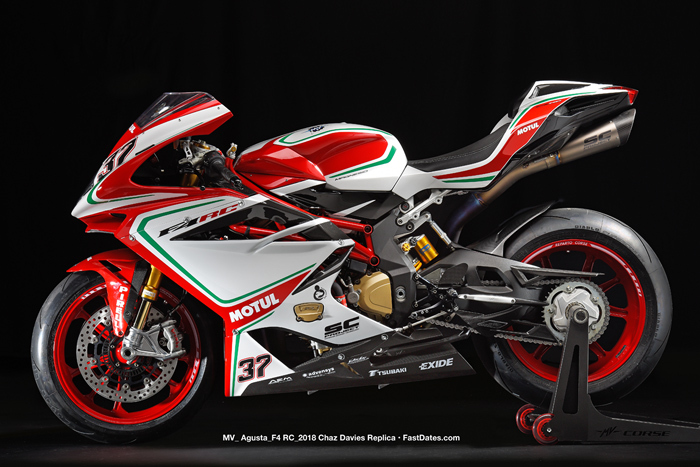 I love working with Giovanni and the guys at MV Agusta, their passion for engineering and attention to detail produces stunning, original looking bikes. 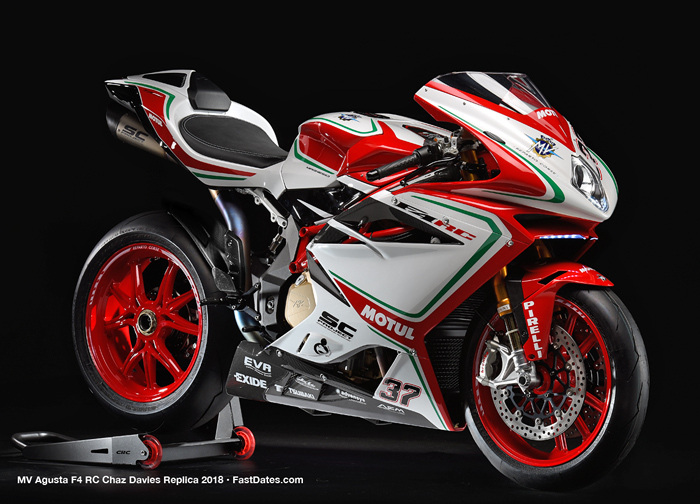 My projects with MV Agusta are a great way to combine my love of riding bikes with my interest in creative design process so I am very much involved with the CRC design team throughout. I am particularly excited to introduce my new bike, the F4 LH44. It looks quite stunning and I had the pleasure of riding on track a few weeks ago in Italy, it feels great and combines the best of both worlds, a race bike for the road! There will be 44 bikes produced so I hope the lucky owners will love it as much as I do,” - Lewis Hamilton. 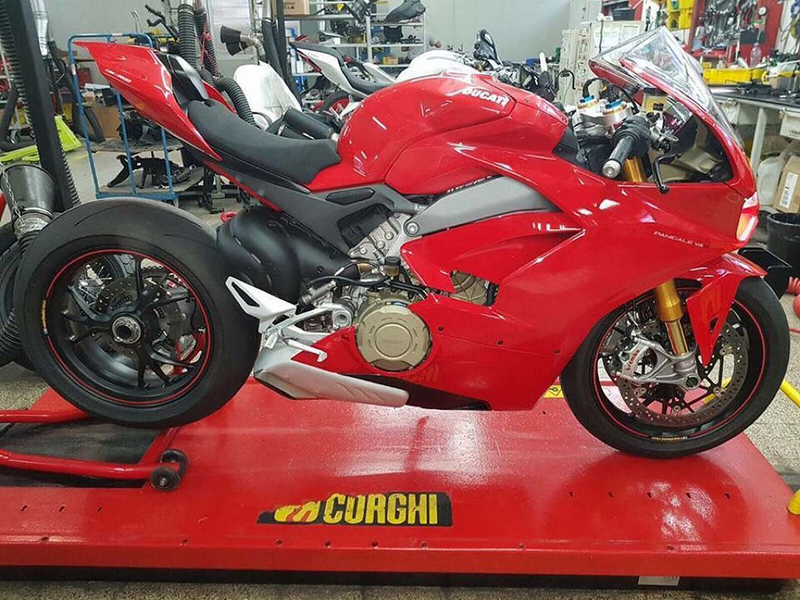 Leaked photos of the final 2018 production Panigale V4 Superbike from Ducati! 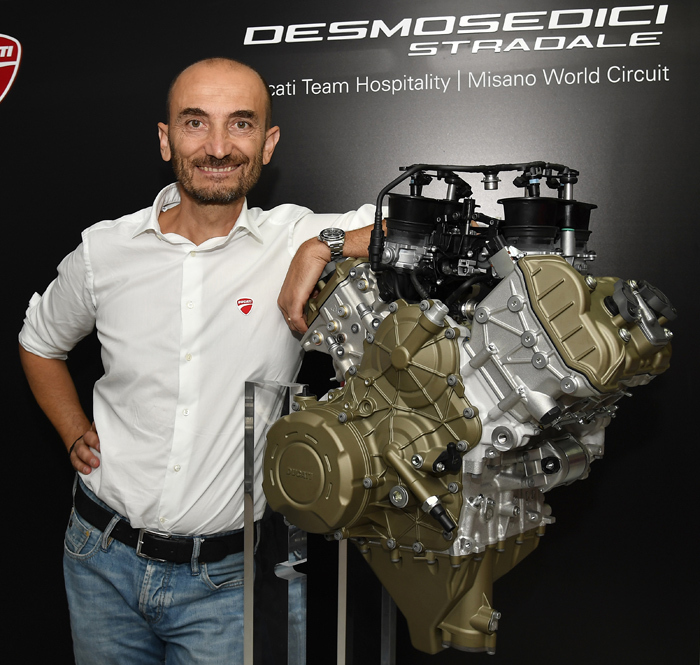 Bologna, Italy, October 1st 2017 - Three images of the new 2018 Ducati V4 Panigale are shown, taken directly at the factory of the Bolognese company, showing a Panigale V4 in the final version 1100S model version with Ohlins suspension. What we really note here is the new MotoGP/SBK style fuel tank with the removable airbox cover on the front of it. It definitely makes the tank look bigger and bulkerier, and possibly less comfortable? 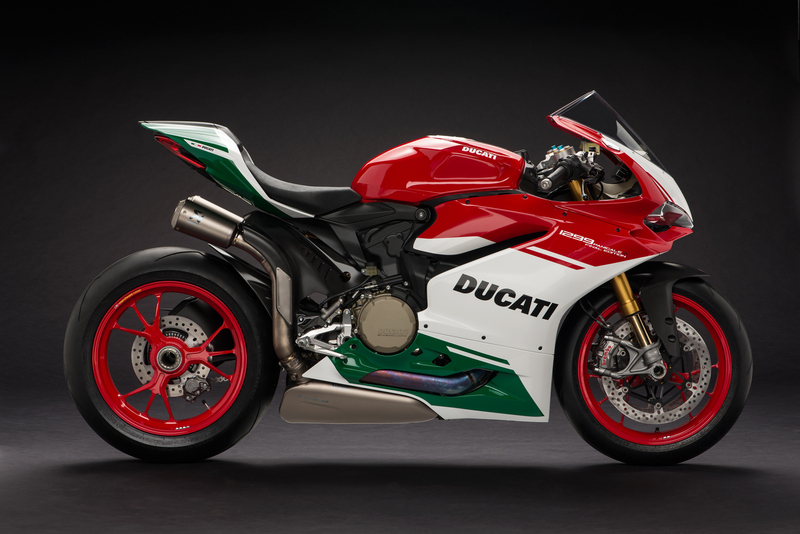 Front air intakes are seen to be much wider than the current Panigale twin-cylinder, as the 14:1 compression 4-cyclinder bike produces a lot more heat, with the front light optic group rather narrowly reduced to the minimum. Practically the same as the rear of the rear, which also differs from a modified saddle pad to attach to the rear cylinder head. Also a dramatic change from the Panigle v2 and MotoGP bike, the former Monocoque box section holding the bike's front end, now appears to be a partial perimeter chassis frame wrapping around the top of the engine to the rear cylinders. While stiffening up the bike, this has to add additional weight and certainly does not look as nice. Notice the repositioned rear shock in the conventional swingarm position, the wider V4 motor no longer allows mounting the shock on the side of the engine for easier access, spring changes or an adjustable shock linkage, which were big promoted advantages on the narrower Panigale V2 Superbike. The Exhaust System is finalized with a twisted and muscular double stroll right in front of the rear wheel, denying a high system closer to that of the Akrapovic factory Superbike and Superleggera and Final Edition. 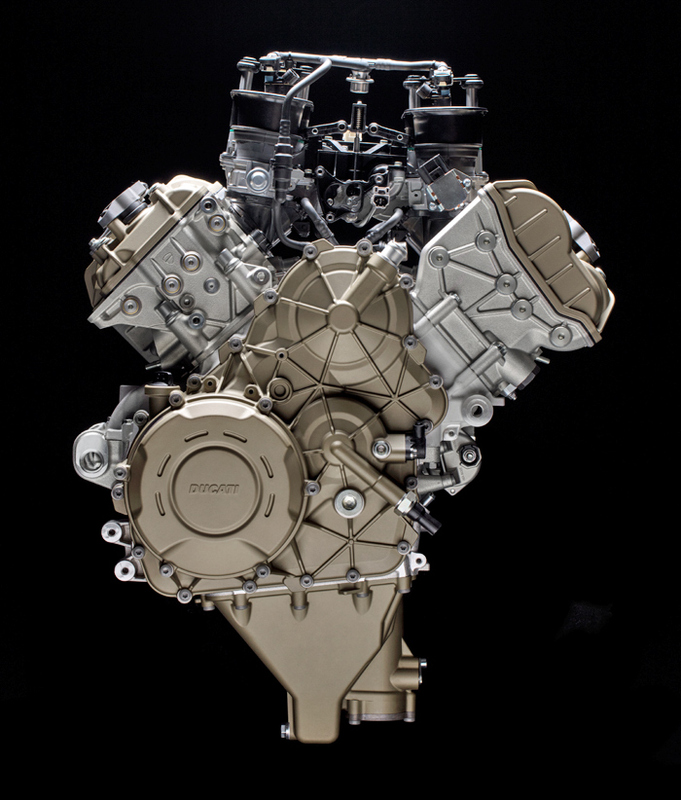 The new V4 gets an oversized capacity of 1,103 cc in a 90 ° V configuration rotated backwards by 43 ° in the Street version, capable of delivering 210 cv and 120 Nm in Euro-4 configuration. 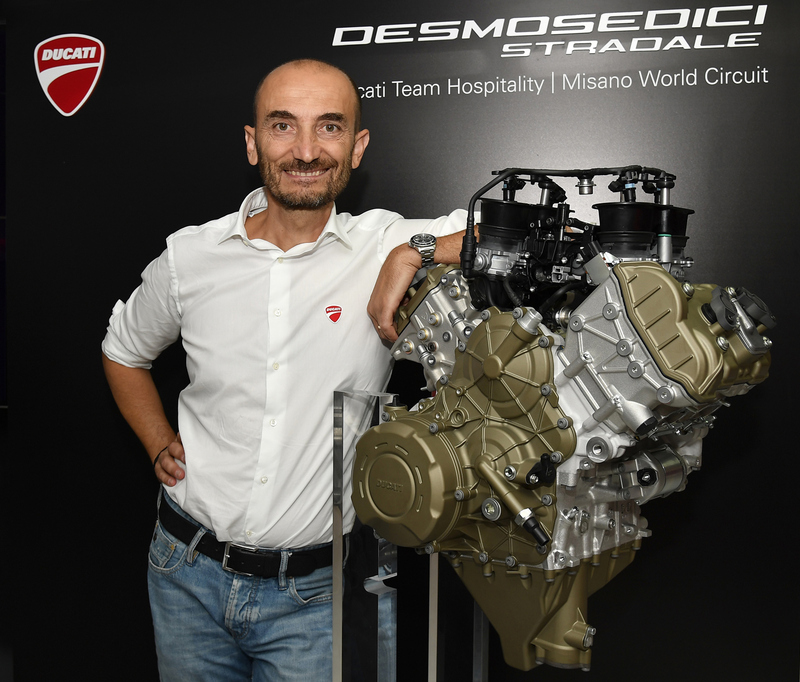 A future 2019 model Panigale V4 R will be reduced in capacity to 1000cc to comply with FIM rules for four-cylinder bikes, and will be raced by Ducati in the 2019 SBK World Superbike Championship. 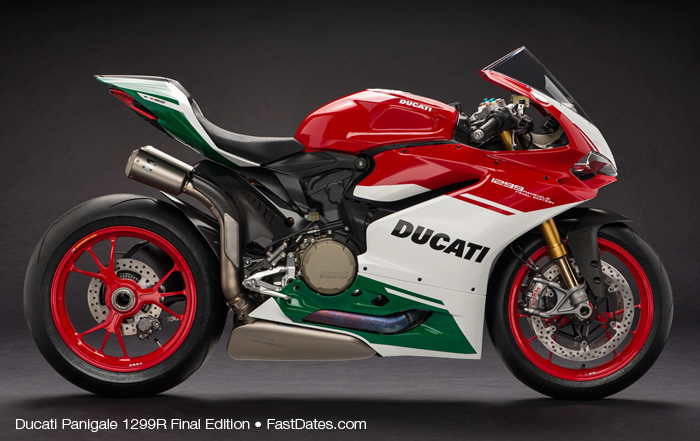 In our opinion, not as beautiful as their current Panigale V2. 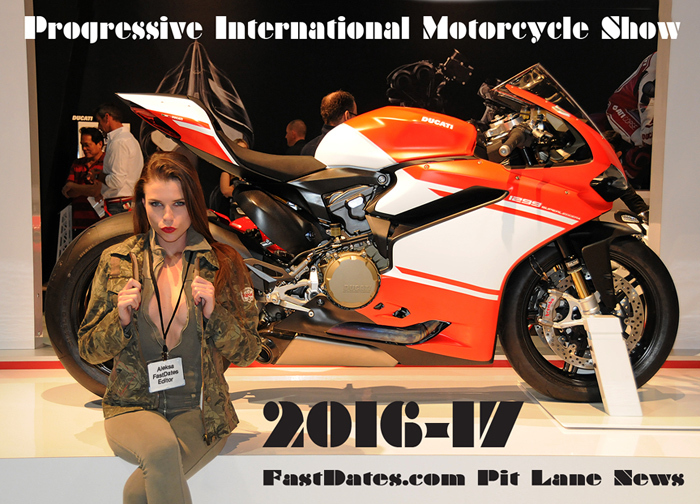 Very Honda VFR looking. And we might expect this new bike to be at the least 10 lbs heaver, as well. What do you think? 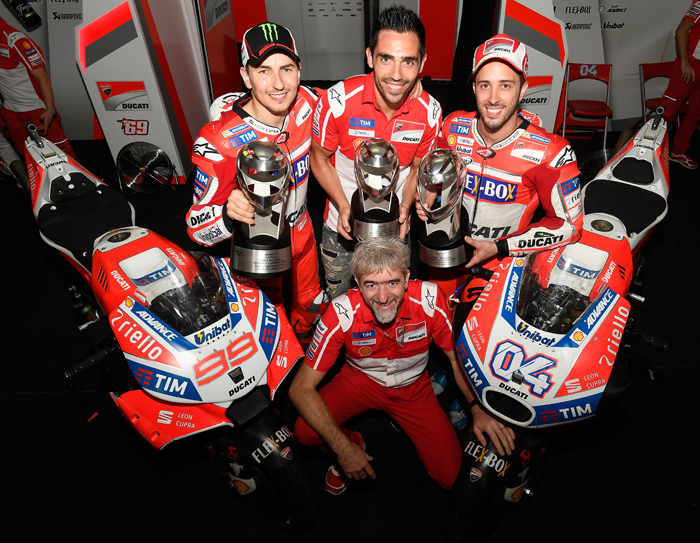 Sepang, Malaysis, Sunday, 29th October 2017 - The two Ducati Team riders produced an outstanding performance today at the Sepang International Circuit, with Andrea Dovizioso winning the Shell Malaysia Grand Prix, held on a wet track, ahead of his team-mate Jorge Lorenzo. 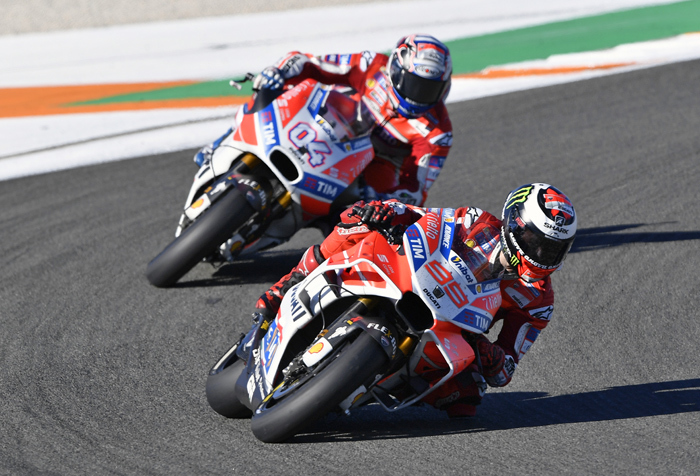 With this victory, his sixth of the season, Dovizioso keeps the title battle alive and at this point it will go down to the final round of the season at Valencia from 10-12 November. Pedrosa on the opening lap. The Italian then caught and passed Marquez on lap 5, before setting after the leading duo made up of Zarco and Lorenzo. On lap 9 both Ducati Team riders passed the Frenchman and then Dovizioso was able to overtake his team-mate five laps from the end and hold on to first place until the chequered flag. 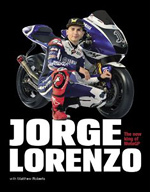 Jorge Lorenzo also did a great race, the Spanish rider getting an excellent start from the second row and immediately setting after the provisional race leader Zarco. The rider from Mallorca took over at the front on lap 9 and when he was caught and passed by Dovizioso, he followed his team-mate home for the runner-up slot. Thanks to today’s results, Ducati moves into second place in the Constructors’ standings with 303 points, two more than Yamaha. 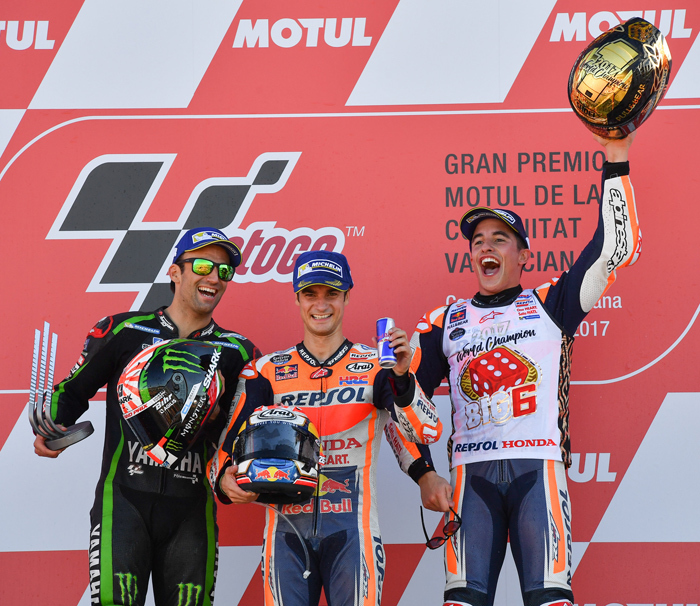 The MotoGP riders will be back in action in two weeks’ time for the final and decisive round of the 2017 season, scheduled for 10-12 November, at Valencia’s Ricardo Tormo Circuit. Marquez and Honda would head the Yamahaa of Vinales and Rossi at the finsh line. 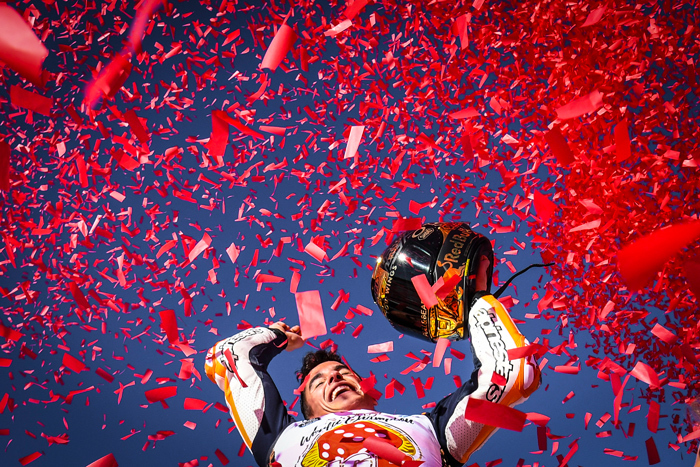 Phillip Island, Australia, Sunday, 22 October 2017 - Marc Marquez (Repsol Honda Team) took his sixth win of the year in a scintillating Phillip Island showdown, breaking away from an eight-rider fight for the win in the latter stages to take to the top step. After a tough race for title rival Andrea Dovizioso (Ducati Team) as the Italian suffered an early run off and was only able to fight back to 13th, it leaves the rider from Cervera now 33 points clear in the standings. Valentino Rossi (Movistar Yamaha MotoGP) took second as he came out on top of a three-way fight for the podium, with teammate Maverick Viñales taking third. Viñales is now out of the Championship fight, 50 points back with two rounds to go. 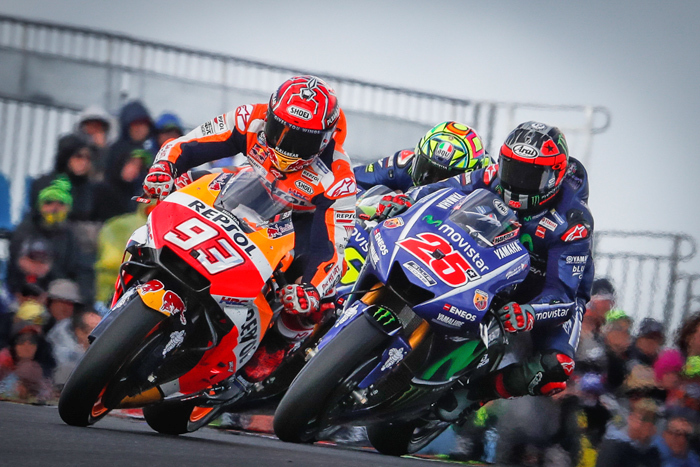 It was Marquez who got the holeshot but he couldn’t hold it into Turn 2 as a stunner from Jack Miller (EG 0,0 Marc VDS) saw the Queenslander slice through into the lead – and then start pulling away. Viñales was the man in third on the chase, as an incredible first lap then took another twist next time round into Turn 1, when Dovizioso went wide and dropped down to P20. Then the race was on for the Italian, as a seven-rider train at the front closed in on Miller in the lead. Rossi and Viñales were the first to get through, and a lead group of Marquez, Viñales, Rossi, Andrea Iannone (Team Suzuki Ecstar) and Zarco began to fight it out. Marquez vs Rossi, Zarco vs Rossi, Viñales vs Marquez, Iannone vs Zarco…in one of the most aggressive and hard-fought battles of the season, decade or more, the passes came thick and fast – including a move for Zarco around the outside of Doohan corner – as rubber was left on the road; a little on opponents’ leathers and a little paint was swapped in one of the most incredible fights in history. Once Marquez was ahead, however, the reigning Champion was able to begin pulling a gap with five laps to go. Pulling the pin as the battle raged on behind him, the number 93 began to sprint away – and the fight to complete the podium was down to three by the final laps: Rossi vs Viñales vs Zarco. With some of the tightest lines ever ridden around the Island at times on that final lap, Rossi was able to take it – but all three were almost neck and neck over the line. And over that line behind the nine-time World Champion, it was Viñales just edging ahead of the Tech 3 of the Frenchman – taking third for a return to the rostrum but a definite end to his chance at the title. 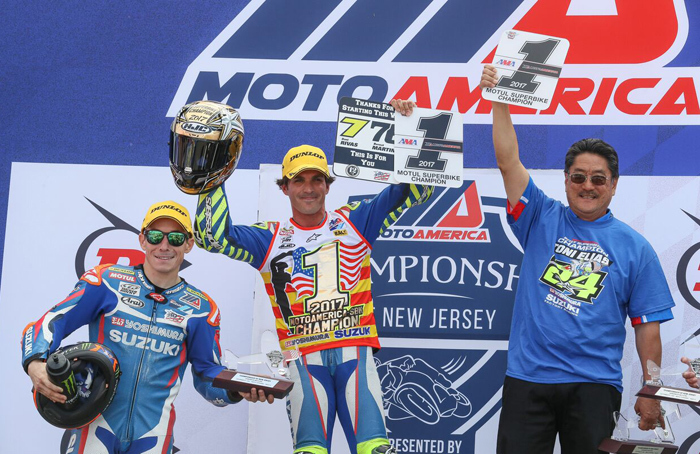 Zarco's fourth, however, confirmed him as Rookie of the Year. After Iannone getting pushed back in the latter stages, Cal Crutchlow (LCR Honda) took fifth ahead of the Italian, with Miller, Alex Rins (Team Suzuki Ecstar) and another double delight for Red Bull KTM Factory Racing completing the top ten; Espargaro just pipping Smith. 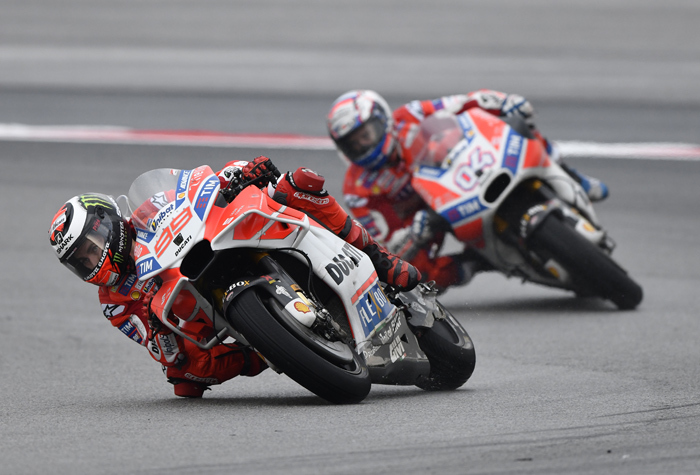 Dovizioso suffered late heartbreak after losing out on the drag to the line to both Scott Redding (Octo Pramac Racing) and Dani Pedrosa (Repsol Honda Team) and coming home 13th, with Karel Abraham (Pull&Bear Aspar Team) and Jorge Lorenzo (Ducati Team) completing the top fifteen. Sepang is now ready for business, with the next round soon on the horizon and 33 points swinging the pendulum in Marquez’ favour. But not everything goes to script, as Dovizioso found out at the Island – and the Italian won at Sepang last season. It’s time for a final stand. 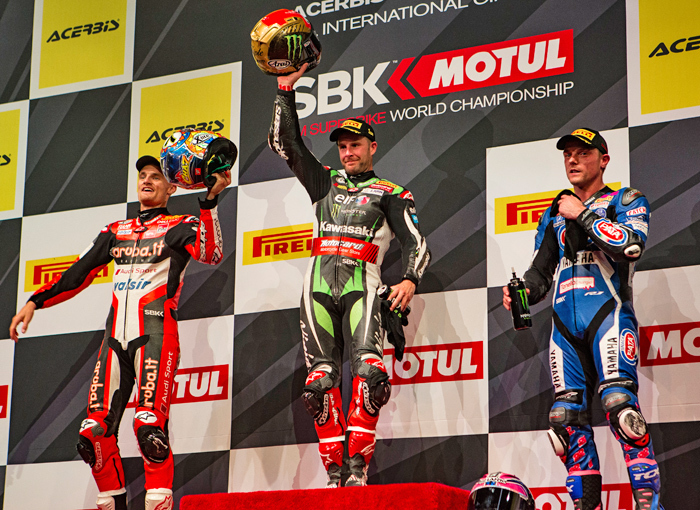 The Race 2 Podium at Jerez with Rea again on top, joined by Davies and Melandri. 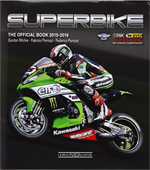 Jerez, Spain, October 21-22nd 2017 - Kawasaki won the 2017 FIM Superbike World Championship Manufacturers’ title today after newly re-crowned World Superb ike Champion Jonathan Rea (KRT) won his second race of the weekend. This was Rea’s 14th victory in his third consecutive championship-winning season. Tom Sykes (KRT) could not find optimal rear traction in race two at Jerez and he finished fifth. At the conclusion of a successful Jerez weekend Kawasaki’s third successive Manufacturers’ Championship arrived one round early, and is now added to the 2017 Riders’ Championship for Rea and the Team’s Championship for the Kawasaki Racing Team. 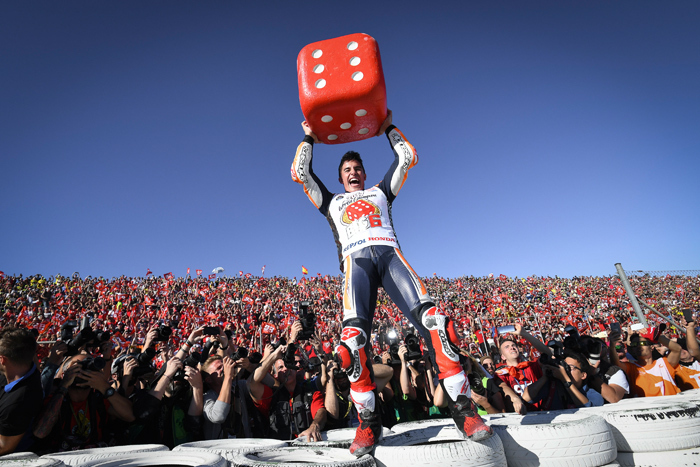 Saturday Race 1 at Jerez was won by the World Champion after a late technical issue for provisional leader Melandri, with Davies and Sykes also on the podium. 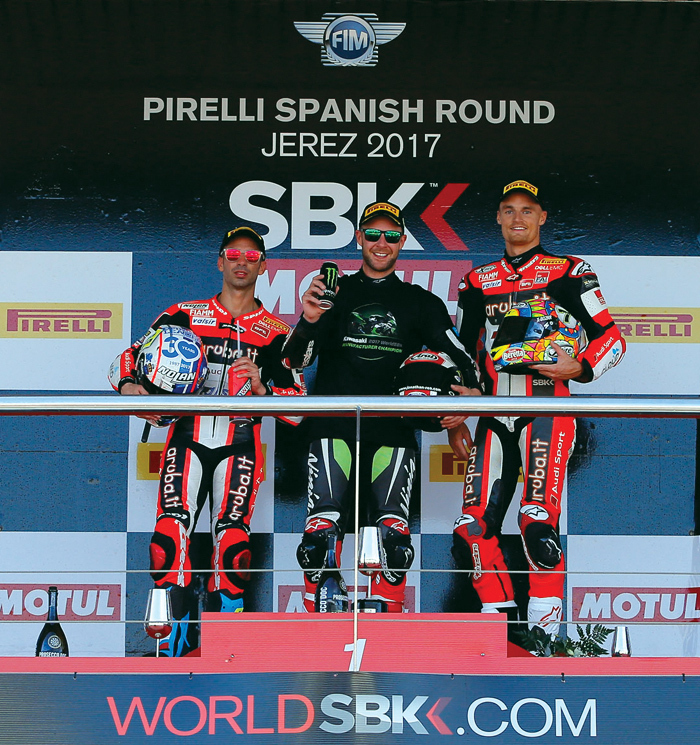 Saturday’s racing at the Pirelli Spanish Round saw Jonathan Rea (Kawasaki Racing Team) register his first victory as the recently crowned 2017 MOTUL FIM Superbike World Champion, taking advantage of a late technical issue for provisional race leader Marco Melandri (Aruba.it Racing - Ducati). With his first ever win at Jerez, Rea was joined on the podium at the end of a restarted Race 1 at Round 12 by Chaz Davies (Aruba.it Racing - Ducati) and Tom Sykes (Kawasaki Racing Team). On his way to equaling Carl Fogarty’s career podium record of 109 rostrum results in WorldSBK Rea took over at the front after Melandri pulled off with a problem with four laps to go. Rea had taken control of the restarted race in the early stages and led for several laps before Melandri made a move with 13 laps to go at turn 9 up the inside of the Northern Irishman. Davies then followed Melandri through to overtake Rea, but Rea soon responded to retake the Welshman and slot back in behind the Italian. As Melandri chased his second race win in 2017, since his return to WorldSBK at the start of the year, cruel luck saw him pull off towards the end of the race, leaving Rea to take the glory. Sykes produced a solid ride in third place as he continues to recover from wrist and finger injuries sustained in Portugal in September, with Davies crossing the line just under 0.5s ahead of him in second. It was another strong performance from Alex Lowes (Pata Yamaha Official WorldSBK Team) as he collected more good points on the Yamaha YZF R1, crossing the line fourth, 3.677s ahead of his teammate Michael van der Mark who was fifth. 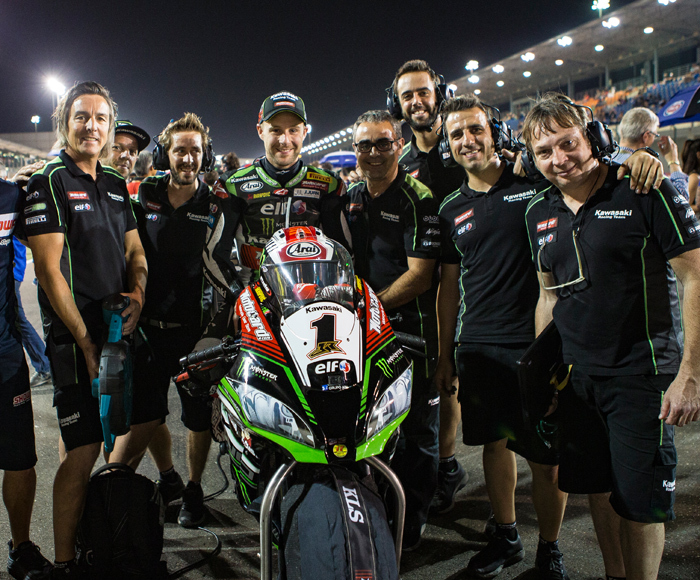 2014 World Champion Sylvain Guintoli’s return to action on the Kawasaki ZX-10RR saw him finish a creditable sixth, in the first of four races he will ride for the Kawasaki Puccetti Racing at the final two rounds of the season. Eugene Laverty and Spanish pair Xavi Fores (BARNI Racing Team) and Roman Ramos (Team Kawasaki Go Eleven) - in seventh to tenth places respectively. Turn 13 proved to be unlucky for Takumi Takahashi (Red Bull Honda World Superbike Team) as he lost the front end of his Honda CBR1000RR, though he picked it up to finish 16th. 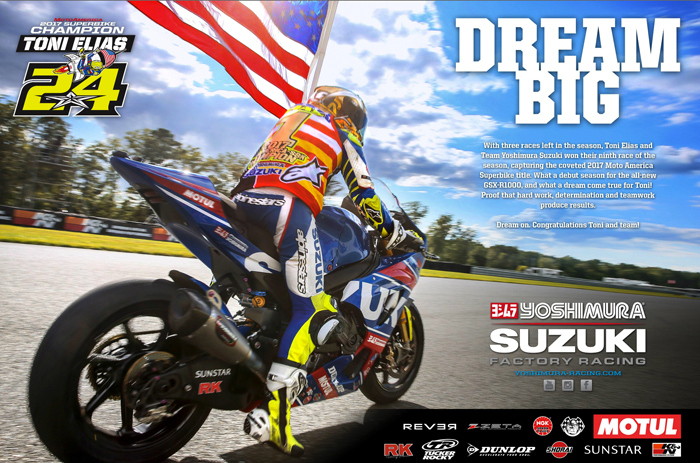 Takahashi’s Red Bull Honda World Superbike Team colleague Davide Giugliano was an unfortunate late retiree. In the initial race start a turn 6 crash on the first lap involving Ayrton Badovini (Grillini Racing Team) and Raffaele de Rosa (Althea BMW Racing Team) brought out the red flags. After a short break the race was recommenced with a quick restart procedure with the riders keeping their focus in the clear conditions in Andalusia on the resurfaced Jerez track, though neither Badovini nor De Rosa made it back onto the grid. P2 - Chaz Davies (Aruba.it Racing - Ducati) "It was cat and mouse between me and Tom, I could see them behind and I knew he was catching me and I tried to pull away a little bit. After missing FP2 I felt it was a really good ride, it was hard because we missed an hour of track time and I felt like I was learning as I was going. It was a a tough race and I'm really happy with the result." Sunday Race 2: KRT man wraps up a successful Round 12 in Spain with another win and is joined on podium by Ducati pair Melandri and Davies. At the Pirelli Spanish Round it was triple World Champion Jonathan Rea (Kawasaki Racing Team) who took the victory in Race 2 on Sunday to complete a fine weekend at the Circuito de Jerez. A commanding performance in a restarted WorldSBK race at the resurfaced 4.423km Spanish track gave Rea maximum points - as he was joined on the podium by Marco Melandri (Aruba.it Racing - Ducati) and Chaz Davies (Aruba.it Racing - Ducati). Northern Irishman Rea therefore notched a double win at a venue where he had not previously scored a victory before the Round 12 weekend, the KRT man riding in a confident and relaxed manner having wrapped up an unprecedented third successive title three weeks ago in France. Rea went from ninth on the grid to first place by the end of the first lap, overtaking Michael van der Mark (Pata Yamaha Official WorldSBK Team) cleanly at the second attempt to remain at the front from early in lap 2. Rea did not look back from there and crossed the line 2.7s seconds ahead of Melandri, who got the better of his teammate Davies in the final stages of the race. 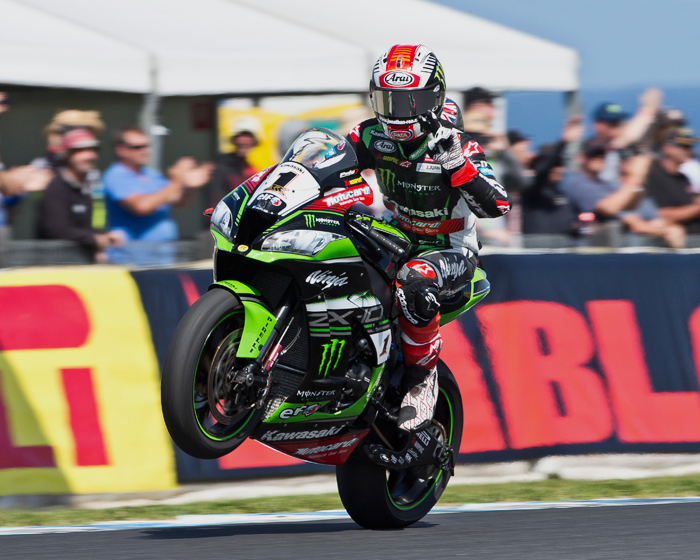 The result gave Kawasaki the 2017 WorldSBK Manufacturers’ title. 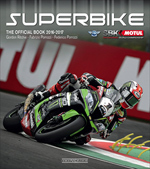 There were good battles throughout the field behind the front runners with Alex Lowes (Pata Yamaha Official WorldSBK Team) finishing fourth and Tom Sykes (Kawasaki Racing Team) fifth. Van der Mark was sixth after leading on the first lap and having had a clash with Melandri early in the race. Xavi Fores (BARNI Racing Team) was seventh, after a good battle with 2014 World Champion Sylvain Guintoli - who returned to action on the Kawasaki ZX-10RR this weekend. Frenchman Guintoli will also ride for Kawasaki Puccetti Racing at the final round of the season in Qatar next month. 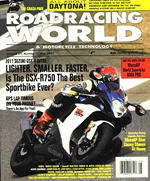 Leandro Mercado (IODARacing) and Jordi Torres (Althea BMW Racing Team) completed the top ten. Davide Giugliano (Red Bull Honda World Superbike Team) was given a ride through penalty after speeding in pit lane having been forced to return to his garage due to an issue midrace. He eventually finished 17th, after suffering a DNF on Saturday. Lorenzo Savadori (Milwaukee Aprilia) was 18th after he crashed out on the first lap of the restarted race. A red flag had been shown after first lap incidents in the initial race, which saw Davies and Eugene Laverty (Milwaukee Aprilia) both down at turn two and then Dominic Schmitter (eighty one HPC-Power Suzuki Racing) needing assistance from medical staff at trackside after crashing heavily on the Suzuki GSX-R1000. 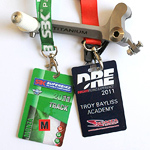 Davies’ team worked hard as the riders prepared for a restart 20 minutes after the original race had begun, with the Ducati Panigale R requiring some quick repairs in order for the Welshman to return to the starting grid for the second getaway. Laverty was also due on the grid for the restart however he had to return to pit lane for another tweak to his Aprilia RSV4 RF just before the second start - as his tough season continued. 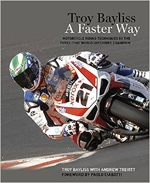 He eventually restarted from pit lane and was ultimately unable to finish the shortened 19 lap second race. 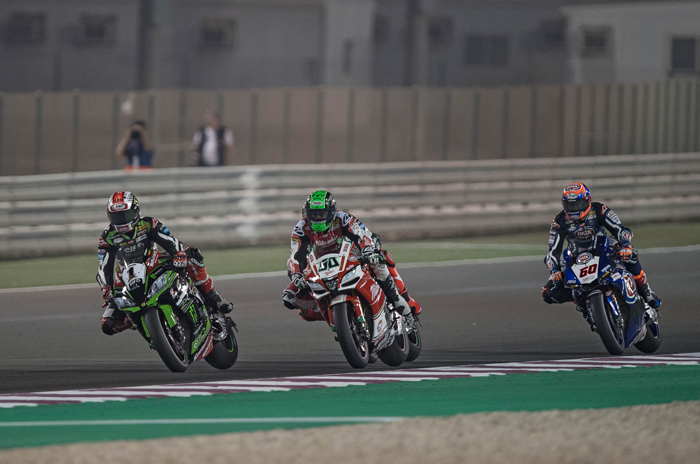 The last round of the 2017 MOTUL FIM Superbike World Championship – the Acerbis Qatar Round – takes place from Thursday 2nd November to Saturday 4th November, under the floodlights in the desert at the Losail International Circuit. P1 - Jonathan Rea (Kawasaki Racing Team) "My bike today was incredible, we made a big change over night with the front of the bike and it gave me all the confidence and on the brakes. I needed a very good first lap but my pace was incredible, I have no words. 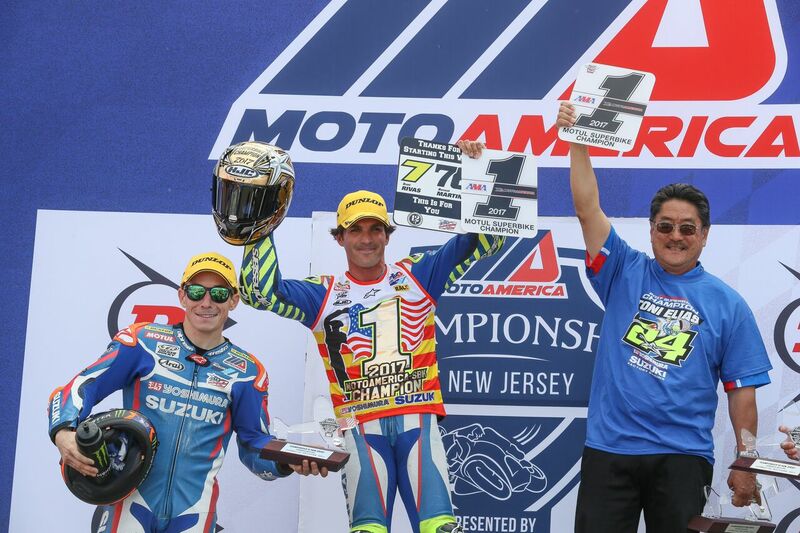 I want to thank the whole team, the bike today was incredible"
P2 - Marco Melandri (Aruba.it Racing - Ducati) "It was a tough race, I was trying to fight for the win but I knew Jonny was going to do so well. I tried to pass the other riders but it was hard and I spent too long with van der Mark, he took some hard lines. After this I lost so much time and I knew I would't be able to catch Jonathan. It's hard because we knew we had the pace." P3 - Chaz Davies (Aruba.it Racing - Ducati) "It was an interesting race. We got another good start and made it count in the first couple of laps, I tried to stay with Jonny and in the end we couldn't do it. With the championship so close between me and Tom, I didn't want to make any risks but overall I am really happy."